In the latest in a series monitoring Trump administration changes to agency websites, the Sunlight Foundation on Tuesday reported that the Health and Human Services Department removed from its website a directory of staff contacts in its Office of Refugee Settlement. The move, judged to have been executed sometime between Oct. 11, 2017, and Dec. 22, 2017, came in the run-up to the Justice Department-led execution of a “zero tolerance” policy toward undocumented border crossers, which resulted in the controversial family separation policy and related rise in demand for emergency health services administered by HHS. The directory of 22 officials in the refugee office included names, titles, phone numbers and email addresses in divisions such as the Office of the Director, the Division of Refugee Services, and the Division of Children’s Services, according to a previous version of the webpage that Sunlight researchers obtained through the Internet Wayback Machine. The removed information—deleted without public notice or explanation—does not appear to be available anywhere else on the website, the analysts noted. Other directories, such as the one for the Administration for Children and Families’ Office of Community Services, remain online, as does the Refugee Resettlement Office’s state program directory and ORR-funded programs key contacts page. What is left on the current website is general contact information on an “About ORR” page and a general media phone number for the Administration for Children and Families office. 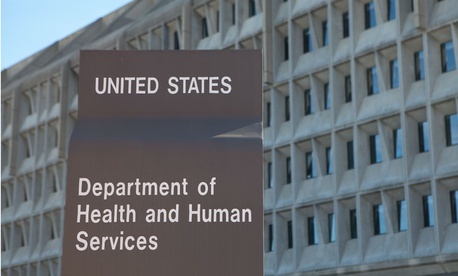 An HHS spokeswoman told Government Executive the directory was taken down on Oct. 23. “The website was reorganized as part of an overall [Administration for Children and Families] update, designed to get individuals with questions to email mailboxes and phone numbers that are regularly monitored. Any suggestions that there was a correlation between this action and the ‘zero tolerance’ policy would be totally inaccurate,” said spokeswoman Caitlin Oakley.